MONROE TOWNSHIP, N.J. – Rabbi Leon Klenicki, a longtime Jewish voice on Catholic-Jewish relations, died Jan. 25 at his home in Monroe Township. He was 78 years old. No cause of death was immediately reported. “The two of us were united (in) a fraternal bond that is deep and abiding,” said Cardinal William H. Keeler, retired archbishop of Baltimore, who is the U.S. bishops’ moderator of Catholic-Jewish affairs. 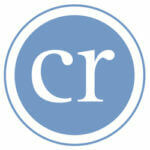 He made the comments in a Jan. 26 letter to Rabbi Klenicki’s widow, Myra. A copy of the letter was made available to Catholic News Service Jan. 27. “Leon was a pioneer in the promotion of a vision of Catholic-Jewish relations that drew inspiration from the Second Vatican Council and the vital streams of contemporary Jewish thought,” Cardinal Keeler added. “One can only look back on Leon’s career with gratitude to God for the paths that he opened up for so many religious leaders committed to reversing centuries of estrangement between their own faith community and other traditions,” he said. Rabbi Klenicki had spent 28 years working on interfaith matters for the Anti-Defamation League of B’nai B’rith. Hired in 1973 as director of Jewish-Catholic relations, he retired in December 2000 as the group’s interfaith affairs director. He continued teaching at Immaculate Conception Seminary in Huntington, N.Y., where he had been a professor of Jewish studies since 1978. A native of Argentina, Rabbi Klenicki began his schooling in Buenos Aires and studied philosophy and classics at the University of Buenos Aires. In 1959, he won a scholarship to study at the Hebrew Union College-Jewish Institute of Religion in Cincinnati, where he completed his rabbinical studies. In the 1990s he traveled several times to Poland to help develop programs of Catholic-Jewish understanding. He is credited with writing or co-writing 19 books in English and Spanish. Among them are “ In Our Time: The Flowering of Jewish-Catholic Dialogue,” co-written in 1991 with Eugene Fisher, then associate director in the U.S. bishops’ Secretariat for Ecumenical and Interreligious Affairs who specialized in Catholic-Jewish relations. In 2007, Rabbi Klenicki was invested as a Knight of St. Gregory the Great during an Aug. 26 ceremony in New York. 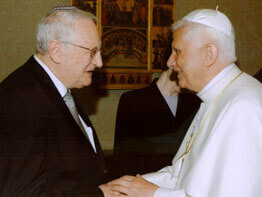 Pope Benedict XVI granted the knighthood for Rabbi Klenicki’s work with Catholics and Jews. In 1994, Rabbi Klenicki said he felt the time had come for the church to completely open the records of Jews baptized during World War II to protect them from the Nazis. He recalled that during the war his cousin was baptized and protected by sisters at a Polish convent. “The nuns said, ‘Bring the rest.’ But my grandmother said, ‘No, they want to convert us,’” he said. He added that his grandmother eventually died in the Auschwitz gas chambers. His cousin survived and ended up in Israel. Also in 1994, he was one of several scholars who critiqued the new Catechism of the Catholic church for an Anti-Defamation League publication. He lauded the catechism for stressing that Jews are not responsible collectively for the death of Jesus, teaching that the covenant between God and Israel has not been revoked, emphasizing that Jesus was Jewish, and acknowledging Jewish roots in Christian liturgy. But Rabbi Klenicki voiced concern that the catechism treats the Hebrew scriptures, the Old Testament, solely as a preparation for Jesus’ coming and vocation; presents only a partial discussion of Judaism in the first century; depicts biblical episodes only as indications that Jesus is the fulfillment of God’s promises to Israel; and incompletely portrays the role of Jewish law in daily life. In 1998, he said he felt “hurt, personally and religiously hurt,” by the issuance that year of a Vatican document on the Holocaust and was “personally distressed” by its defense of Pope Pius XII, who led the church during World War II.